Vaccinating your pet against canine or feline viruses is an important part of maintaining his or her good health. 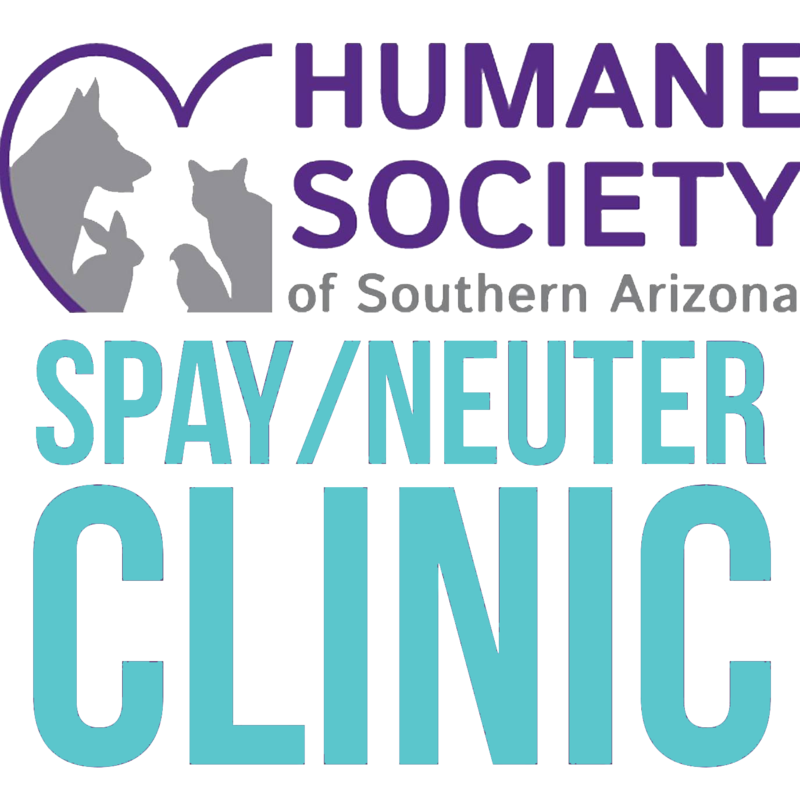 HSSA offers walk-in low-cost vaccinations two times a week at the Spay & Neuter Clinic, 635 W. Roger Rd. Tucson, AZ 85705. It’s a great way to make sure your pet gets the protection he or she needs, and the recommended vaccinations before spay or neuter surgery. Rabies vaccinations are just $13 for both dogs and cats; other vaccinations are also available for between $12-$25 each. Additional services are available. Each clinic is limited to 40 animals. Pima County requires all dogs older than 3 months to have a rabies vaccination and to be licensed in Pima County. Please bring your cats in a secure carrier. Cats can escape easily if not properly contained. It is best to bring multiple cats in individual carriers. If you do not have multiple carriers, for your convenience we offer sturdy cardboard cat carriers for $8. Dogs must be on a leash or in a carrier at all times, even puppies. For more information, contact our Clinic at (520) 881-0321. PLEASE NOTE: You and your pet will be waiting outside prior to service. We advise you to bring a bowl for your pups to drink from (we’ll provide the water). We also recommend that you wear a hat and sunscreen, and bring a drink for yourself during the summer. During inclement weather, you may wait in your car after you've signed in (just let us know which car is yours). We have benches outside, and will try to move everyone through as quickly as possible. **Animals that have FLEAS, TICKS, or MITES at the time of exam and/or surgery will be treated and FEE will be charged. HSSA’s donor-subsidized veterinary clinic plays a crucial role in ensuring pets stay healthy, with their families, and not surrendered to a shelter for lack of health care. All wellness services are by appointment only. We do not see walk-in appointments, and urgent care cases should be seen by a local emergency clinic. Please call 520-881-0321 to determine eligibility and to schedule an appointment. HSSA’s donor-subsidized veterinary clinic is a full-service clinic for income-qualifying pet owners. Clinic services are not free. We offer reasonable, fixed fees for our quality care. You must qualify to use clinic wellness services. Proof of income and eligibility is required prior to scheduling an appointment. All sources of income must be included for each household. We limit our services to pet owners who otherwise would not gain access to quality veterinary care for their companion pets. Please speak to a customer service representative to determine eligibility. Our donor-subsidized veterinary clinic is not able to provide urgent care or emergency services for pets. Although our initial exam price is very low, blood work, x-rays and medications required during diagnosis and treatment are not included in the exam fee. An estimate will be provided for other expenses following evaluation by our veterinarian. Donor-subsidized veterinary clinic services require all pets to be spayed or neutered. If a pet is not spayed/neutered, a non-refundable retainer fee for spay/neuter surgery will be required at the time of the exam. Pets are required to be spayed or neutered. For any pet that is not spayed or neutered, a non-refundable retainer will be required for cats and dogs at the time of the exam. When you return to have your pet spayed or neutered, the retainer will cover the cost of the surgery. Owners with aggressive pets will incur an additional handling fee each time they visit our clinic if our veterinarian is willing to accommodate them. If our veterinarian determines we cannot safely examine your dog, even if muzzled, we will not provide services. If you are coming to the HSSA Clinic, you will want to go to the blue Clinic building.